In order to attempt the holy grail that is Prada runway I had to bring out the big guns: Migi Nail Art Pens. 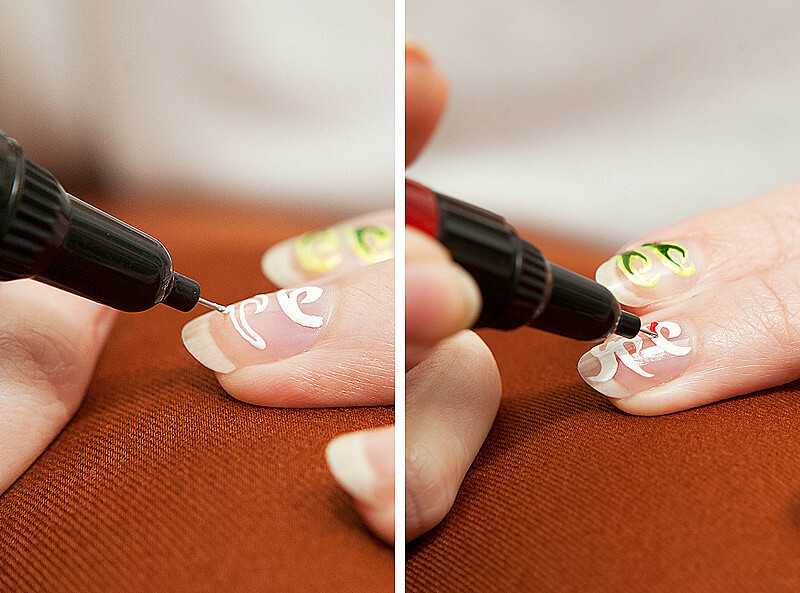 The superfine tip on these pens are the ultimate tool for highly detailed nail designs. I left the base of my nail clear (my go-to is Nail Magic) and created flames and geometric shapes of a mix of black, red, baby blue, yellow and white. 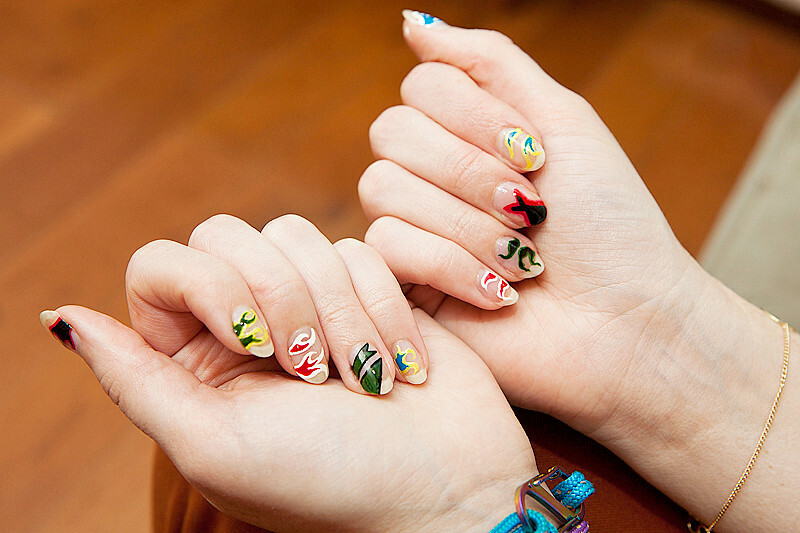 The somewhat limited range of colors of the nail art pens worked perfectly with the retro glamour of Prada's Spring 2012 collection. 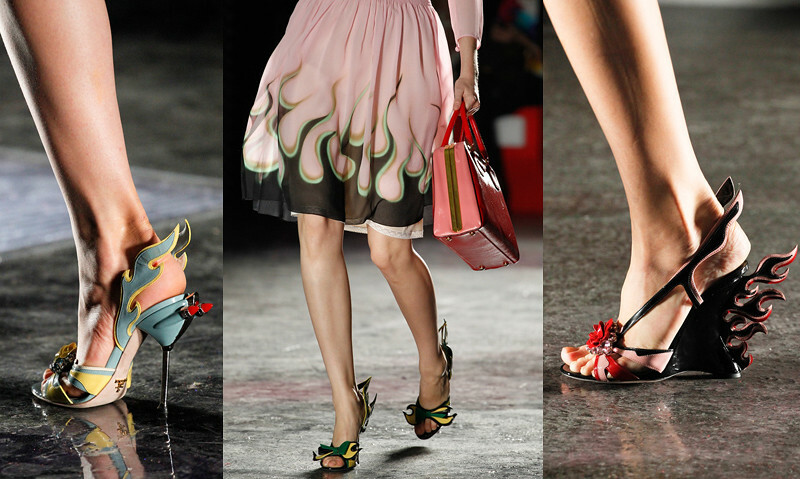 Its a fine line between rockabilly and runway, but these were definitely fun to wear. 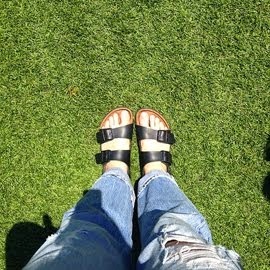 In the photos I'm wearing my neon camping bracelet and J Brand Terra Cotta skinnies. 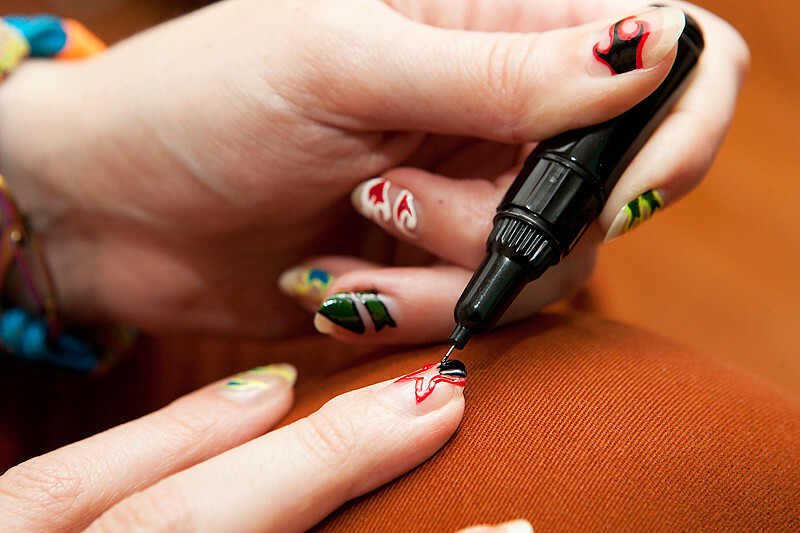 This is sort of amazing, as are all your nail posts. I mean...what? This is the best nail tutorial I've seen. No joke. I'm buying those pens and attempting! 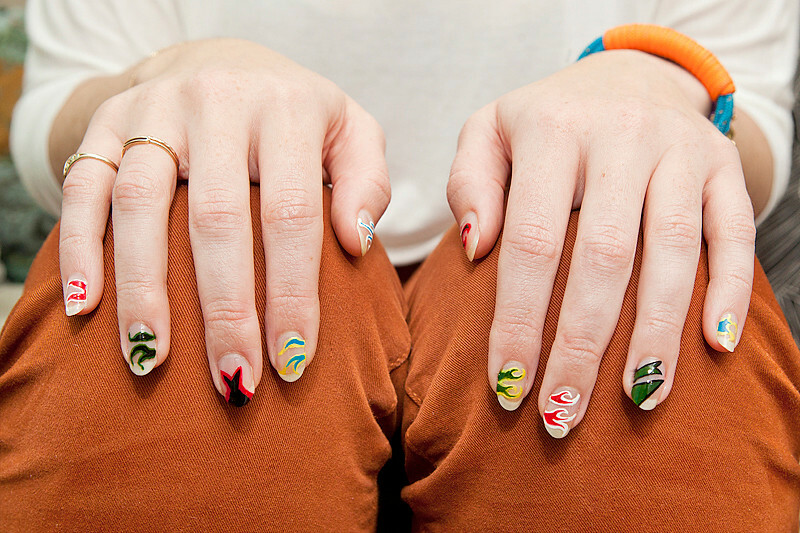 wow you're like the nail art maestro. Oh my damn.. that is just incredible. Such a great idea! Gotta get my hands on some of those pens and try it.